Olive oil is a fat obtained from the olive (the fruit of Olea europaea; family Oleaceae), a traditional tree crop of the Mediterranean Basin. Olive oil allergy symptoms are a hypersensitivity to the proteins found in olive oil. When someone with an olive oil allergy consumes or comes into direct skin contact with the substance, the immune system tries to attack it. This causes the production of antibodies and histamine that leads to common food allergy symptoms. If you suspect that you have an olive oil allergy, make an appointment with an allergist for confirmation (Marks, 2011). Commonly used in cooking, cosmetics, pharmaceuticals, soaps and as fuel for traditional oil lamps. 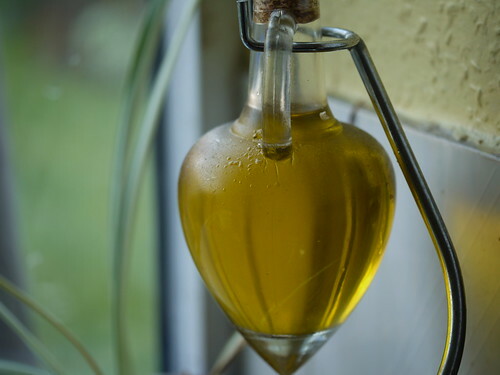 Olive oil is used throughout the world, but especially in the Mediterranean countries and, in particular, Spain, Portugal, Italy, and Greece, which has the highest consumption per person (Wikipedia, n.d.). Here is a link to a website discussing the health benefits of olive oil.